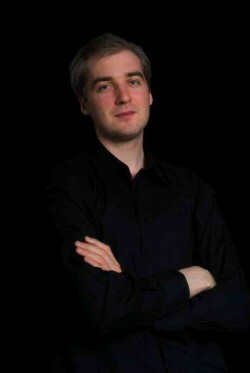 NIKITA POGREBNOY, Violist, was born in St. Petersburg, Russia where he graduated from the world-famous St. Petersburg Conservatory with highest honors. He then came to the United States by the invitation of Victor Rosenbaum, the Director of the Longy School of Music who after hearing his performance, awarded him a full scholarship to study in Cambridge, Massachusetts. Nikita is the winner of the Valentino Bucchi International Competition in Rome, Italy. Since then he has appeared as both soloist and with various chamber ensembles across Russia, Spain, Central America and the United States. He has also performed at numerous festivals including the International Musical Arts Institute in Fryeburg, Maine, and the Colorado Music Festival among others. He has been broadcast on both television and radio in the United States, including the National Public Radio which aired nationwide.